Pixel perfect — RandallAnthony Communications Inc. Such disruptions could soon be things of the past, thanks to a new Industrial Research Chair in the Faculty of Engineering at McGill University in Montreal. The Natural Sciences and Engineering Research Council (NSERC) of Canada teamed up recently with Montreal-based Ubisoft Entertainment and McGill to create the NSERC/Ubisoft Industrial Research Chair in Believable Virtual Character Experiences. The chair was awarded to associate professor Derek Nowrouzezahrai, director of McGill’s Graphics and Imaging Lab. 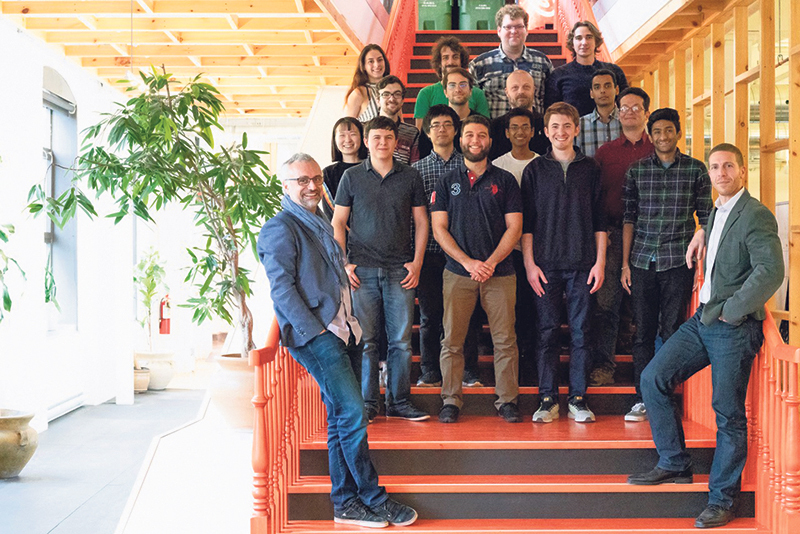 Supported by equal funding of $750,000 each from NSERC and Ubisoft, as well as in-kind contributions from McGill and Ubisoft, the $2.5-million research chair brings together some of the brightest minds in video game design, production and software engineering. Over the chair’s five-year mandate, about 20 undergraduate, graduate and postdoctoral students from McGill’s Faculty of Engineering will work with a select team at Ubisoft’s La Forge applied research lab to develop techniques that will enhance the credibility of virtual worlds. Creating credible virtual worlds with authentic, believable characters goes far beyond accurate rendering and surface texture representations, says Mr. Jacquier. The physics of this simulated world – including the reflection of light and the movement of hair, clothing and other objects – need to align with the physics of the real world. Solving this challenge has implications beyond video games and animation, says Dr. Nowrouzezahrai. As McGill and Ubisoft tackle longstanding computer graphics problems, they’ll be generating complex mathematical models with potential applications in particle physics, biomechanics, computational statistics, biology, medical imaging, robotics and artificial intelligence. Sylvain Coulombe, associate vice-principal, Innovation and Partnerships at McGill, cites the NSERC/Ubisoft Research Chair as yet another great example of strategic public-private partnerships that expand the university’s innovation portfolio and diversify its connections to Quebec and Canadian industry. What’s also notable about the NSERC/Ubisoft Research Chair is Ubisoft’s commitment to sharing the results of the research. Members of Ubisoft and Dr. Nowrouzezahrai’s research teams will submit academic works for publication throughout the course of the program.